Gabrielle Webb is a freshman Biochemistry major at Spelman College. 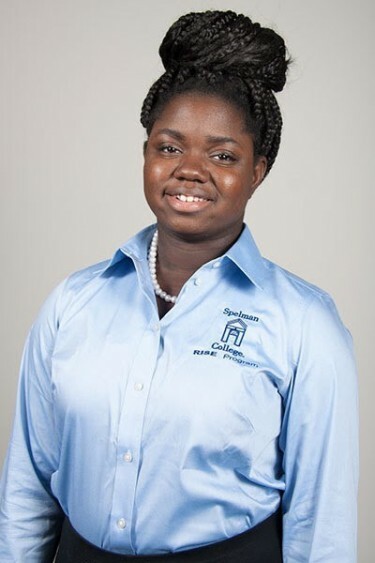 She works currently under the mentorship of Dr. Y. Jeilani in the Department of Chemistry & Biochemistry at Spelman. Her research is on predicting the fragmentation pathways of Estrone using computational software and tandem mass spectrometry. In addition to this, she researched the role of glia cells in the brain as well as basic genetics of flies during the summer. She plans on obtaining a PhD after graduating Spelman College in 2019. Her current research interests include pharmaceutical sciences, molecular biology, and plant biology.